As our company grows, a growing question was brewing within our organization: to achieve consistency at all job site regardless of which crew was doing the job, what is the best painting procedure to adopt? This becomes especially important in the areas in which we specialize: multi-unit residential complexes, high-rise buildings, warehouses, commercial facilities and institutions. Through lengthy research and review, we decided that the PDCA standard painting procedures would be the best for our business. 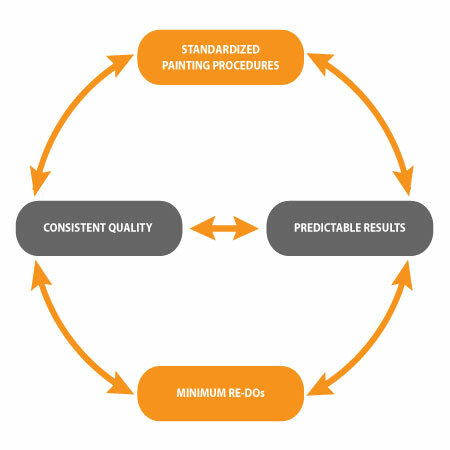 Standardized Painting Procedures (SPPs) are derived from PDCA’s Craftsmanship Operating Procedures (COPs) , which were developed by a committee from the PDCA Craftsmanship Forum, and are nationally accepted standards for painting. For the detailed application of SPPs in different scopes of work, please refer to the listing under the “Services” section. Our craftsmen are fully trained in the use of SPPs. All our employees, from the junior to the most senior, are trained in using the same procedures to execute the painting work.  As a result of using SPPs, our customers experience minimum re-dos, uniform quality, predictable results and long-term performance. The focus of our painting and restoration projects is the long-term performance, ease of maintenance and great colour coordination. The SPPs give us that assurance.